NASA has been conducting research on the effects of microgravity on vision using the SPECTRALIS imaging platform since 2013. Heidelberg, Germany. – May 29, 2018 – Heidelberg Engineering, a privately-held imaging solutions company focused on advanced diagnostic instruments for eye care professionals, announced the continuation of the SPECTRALIS space odyssey as the SPECTRALIS imaging platform with the company’s next-generation OCT2 Module is headed for the International Space Station (ISS). 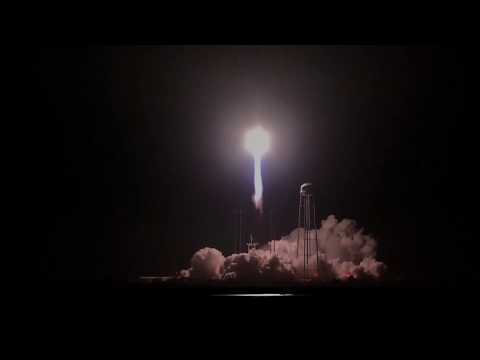 NASA launched the SPECTRALIS with OCT2 Module to the ISS aboard the Antares 230 Cygnus CRS OA-9, also known as Orbital Sciences CRS Flight 9E on May 21, 2018 from Wallops Island, Virginia. The device will be installed on the ISS in late 2018. NASA’s researchers have used the SPECTRALIS OCT to investigate the effects of a microgravity environment on vision since 2013. While the existing device continues to function normally on the ISS, a next-generation SPECTRALIS with OCT2 Module will optimize acquisition speed and capture more complex scans, while considering use of additional modalities such as OCT angiography*, anterior segment imaging, ultra-widefield fundus imaging and MultiColor. An Orbital ATK Cygnus spacecraft launched from NASA’s Wallops Flight Facility on May 21, 2018. This research is expanding the exploration of ocular pathology in space and on Earth. “The SPECTRALIS OCT2 module will allow us to image deeper structures in the eye that are affected by long-term space flight such as the posterior optic nerve head anatomy and the choroidal blood supply to the retina.” said David M. Brown, MD, the retina specialist on the NASA SANS Research & Clinical Advisory Panel and a retinal surgeon at Houston Methodist Hospital in Texas. *The SPECTRALIS® OCT Angiography Module is available only in certain countries. It has not been cleared by the FDA for use in the United States. Check with your country’s contact.